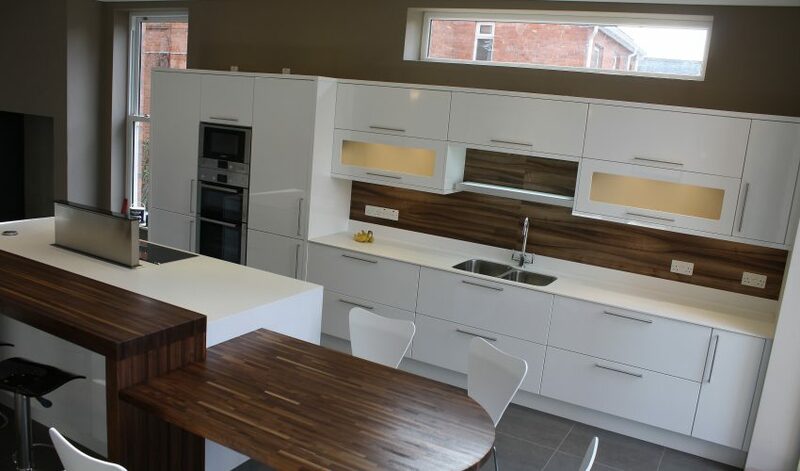 This simple in the eye and yet full of soul modern kitchen is packed with high quality features. Lacquered High gloss painted mdf door with Hettich soft close hinges and soft close drawers. 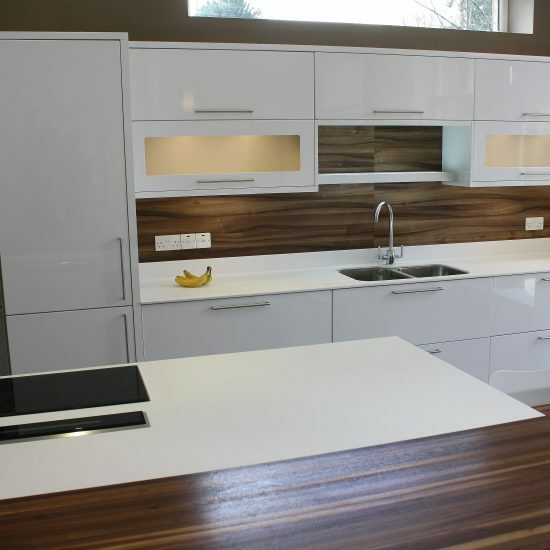 Corian 15mm worktop. 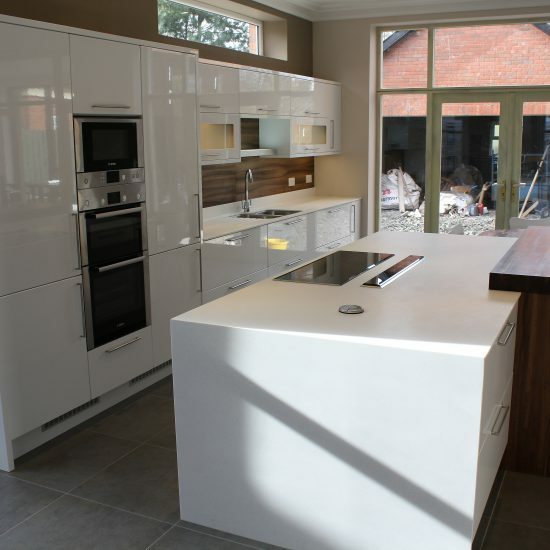 Corian side gables at island moulded into the worktop. 40mm solid walnut butcherblock table top and 60mm breakfast bar.